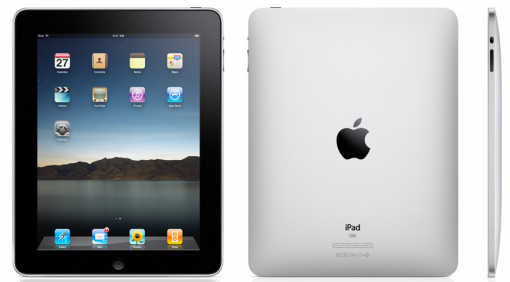 iPad Users: Are You Spreading the Flu Virus? Touch-screen technology is something to marvel at, and indeed, judging by the more than warm welcome given by consumers to the iPad and other touch-screen devices. What you may not be aware of, however, is that the iPad – and other similar gadgets – may be one of the worst things you can handle during flu season. You don’t need half a brain to see the connection – touch-screen equal fingers (which are likely rife with germs). Add to that the idea that people let other individuals use their touch-screen devices, and it is very easy to see how all sorts of bacteria and viruses can be spread. It’s much like touching a door handle at a public place. The Journal of Applied Microbiology recently released the findings of a study which took a look at glass surfaces – such as the screen of the iPad – and how they transmit pathogens to the human skin (read: your fingers). Unsurprisingly, the risks are quite high. What I found a bit surprising is the fact that the risk of transmitting pathogens, including the flu virus, is much higher in touch-screen devices than other everyday things we touch (this includes elevator buttons and the toilet handle in the men’s room!). With the flu virus spreading around like crazy, it’s but sensible to make sure that your iPad, iPhone, and whatever other touch-screen device you have is sterilized, don’t you think? Here’s one way by which you can do this. If anything, your friends and family members will thank you for making sure your device is clean. Personally, if I owned an iPad, I just would sterilize it every time someone else touched it. Better yet, I’d avoid having someone else touch it! what’s the difference between this and the way a keyboard spreads the viruses? I think it’s because the glass surface is more conducive to the pathogens?